Brokerage Firms are NOT Created Equal! I was so upset! I OBVIOUSLY didn’t explain myself well enough. All of the time I spent explaining how I could market his property via my SEO skills either went completely over his head or it just didn’t resonate somehow. My presentation should not have left him with this impression. Unfortunately, it’s a common misconception that large brand brokerages offer more exposure than local brokerages. I regret that I was unable to communicate that. Through our state and national licenses, we are all afforded the exact same MLS resources and tools to utilize in the same way. It’s what the individual agent does personally for their client that makes the difference!! Because of this, I have worked diligently to set myself a part by offering what many agents do not (due to my 9 year marketing/sales background). I actually educate agents (many from large/national brokerages) on HOW to market properties properly and effectively in order to secure the highest price possible. Many agents do not have the crucial knowledge that is necessary. I have since then changed my listing presentation to reflect the many differences! One of the things that sets us a part is that after hours, phones are forwarded to an agent on duty ensuring that all calls are answered by a knowledgeable Realtor on staff. Most brokerages just have a voice-mail system for inquiries to clog up until the next day (or all weekend). That’s not the kind of customer service we operate with. The proof is in the numbers though. 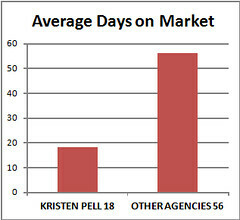 As you can see, we have the local knowledge and skills that it takes to sell properties fast and for more money. I even researched stats on specific Fort Myers communities! 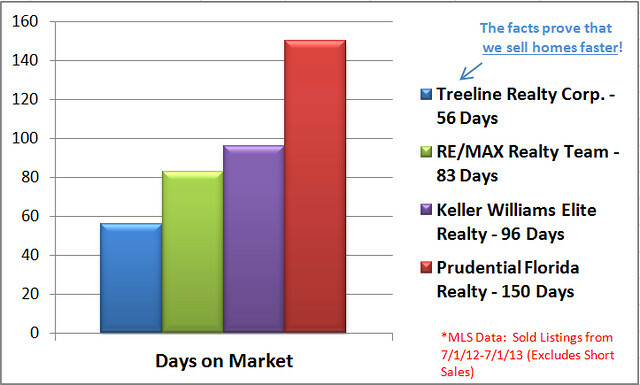 I sold them faster AND at atleast 97% of list price! One thing is for sure… I’m prepared to never make that mistake again! 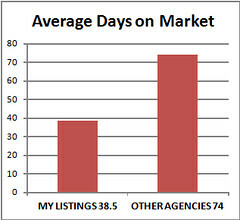 Posted on August 1, 2013, in Real Estate and tagged Bonita Springs Real Estate Agent, Cape Coral Real Estate Agent, Differences between real estate brokerages, Estero Real Estate Agent, Fort Myers, Fort Myers Real Estate Agent, Keller Williams Elite Realty, Kristen Pell, Listing Marketing, Paseo, Property Guiding, Prudential Florida Realty, RE/MAX Realty Team, Real Estate Biz, Realtor in Paseo, Realtor in Reflection Isles, Reflection Isles, SWFL Real Estate, Treeline Realty Corp. Bookmark the permalink. Leave a comment.